Earlier today, Eurodiaconia released a new policy paper on ‘Strategies to promote access to employment for all people’. The publication presents key recommendations to promote access to employment for all people as a pathway to social inclusion and full participation in society. It underlines how quality social services is the key between quality jobs and social inclusion efforts. The policy paper also provides examples of good practices implemented among Eurodiaconia’s member organisations. With this publication, Eurodiaconia aims to inspire other organisations within and outside its network to ensure a social market economy that promotes inclusive growth. Last Friday, Eurodiaconia organised a roundtable to take stock of progress made so far in the fight against long-term unemployment and shared its policy recommendations. The meeting offered a space for discussion and proposals on policy initiatives to continue supporting access to employment for all people, in particular for people with ‘lower employability’. This event took place three years after the 2016 Council Recommendation on the integration of the long-term unemployed into the labour market, and one day after the European Commission adopted the Report on the Implementation of the Council Recommendation on April 11th, taking stock of progress made to help long-term unemployed people getting back to work. As a network of diaconal social service provid­ers, Eurodiaconia and its members have been witnessing the rise of in-work poverty, which represents 10% of all workers in the EU. This resulted in an increased demand for social services. Moreover, though the unemployment rate in the EU has fallen significantly, unemployment rates vary widely across EU countries and across regions. 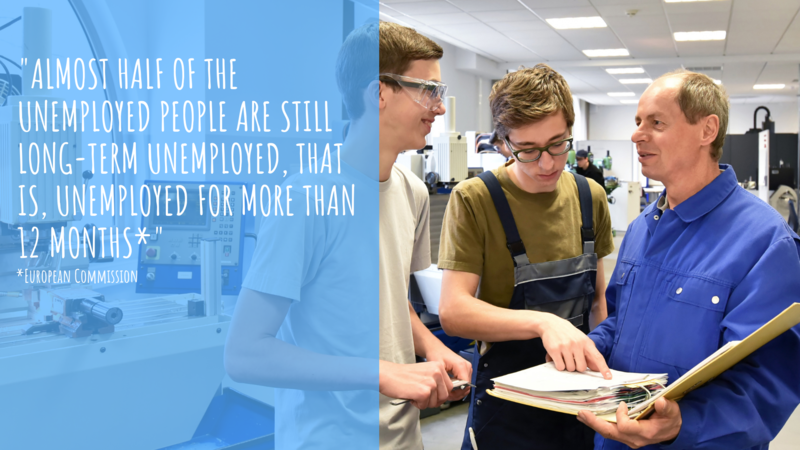 Hence, ensuring sustainable access to quality jobs for all people is necessary to match employment and social inclusion. Eurodiaconia will continue its advocacy work in the area of Access to Employment for all people at European level, enabling a framework for the implementation of the European Pillar of Social Rights and the negotiations around the European Social Fund Plus (ESF+), together with its members and partner organisations. Our network will continue exchanging and promoting best practices, as for example during the upcoming Annual Network Meeting on Access to Employment in Spain. Eurofund, in-work poverty in the EU, 2017. Eurostat, unemployment statistics, October 2018. To know more about our recommendations to promote access to employment for all people, read our policy paper.